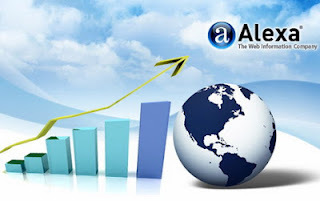 Alexa is the leading web information company which is free. And it provides a good, detailed list of stats. It will give you estimates on the number of page-views, bounce rate, search analytics, audience information, reach (which, according to Alexa, is determined by the number of unique visitors), and a lot more. Now Alexa might not be as good as Google Analytics, but it comes close. In fact, its page-view stats are quite near to those shown by Google Analytics, and it follows the same graph as well. Below is a picture of MBT traffic stats as shown by Alexa. Note that these might not be accurate, but they are closer to the facts than any other analytics company. If you want to look at stats for large websites, like Wikipedia etc, then this is the thing for you. Google Trends statistics can be very accurate, since it makes use of multiple analytics tools such as Google Analytics, third party statistic tools, and other marketing researches. The only drawback to it is though, it shows stats for sites that have a very high traffic flow. Compete is a good resource for monitoring website stats for the U.S. It can get pretty close to the actual stats of a websites, since it uses data from ISPs as well. But unfortunately, it is limited to the U.S. Hence, it displays stats for traffic coming from U.S. only. But on the positive side, it has web statistics for nearly every website on the internet. TrafficEstimate, as the name suggests, gives a general estimate of your website stats. 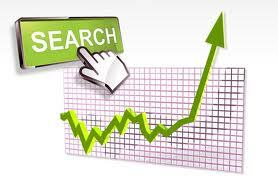 It provides information in many areas, such as page-views, unique visits, keyword stats, and more. If you are looking for keyword suggestions and similar information from your competitor websites, then this is a good place to start. Thank you! for this amazing post. It track my website's position by keywords and what is absolutely top of all - it suggest and monitor your competition - a great option to access to the previews of all your and competitors site, measures also some social aspects like Facebook and Twitter mentions, also counts the Back Links and shows the Page Rank! Thank you for the great post! You name some very good tools here, but I think you overlooked www.similarweb.com, it has a beautiful interface and gives you really great competitor analysis insights.